The Swoosh gives a bold new makeover to a classic member of the Air Max family: check out the NIKE AIR MAX 98 WMNS MULTICOLOURED SNAKESKIN. It looks like Nike’s Air Max 98 is taking the title of wildest colourways in 2019, having already appeared in bold Chinese New Year makeups, and a newly-released premium leopard print look. For the silhouette’s next women’s-exclusive outing, a white leather base acts as a canvas for multicoloured snakeskin panels. The bold overlays are delivered in yellow, green, red, and pink, all pulled together by a set of black rope laces. This one is definitely vibrant enough to shake off any winter blues. Brace yourself for the NIKE AIR MAX 98 WMNS MULTICOLOURED SNAKESKIN, as it’s set to drop this FEBRUARY. Check back with us for the official release info as it becomes available. 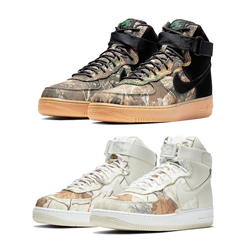 While you wait, shop the latest releases from NIKE via the banner below.